Gorgeous plant pendants! I am constantly looking for places I can put plants where they will get light and not get in the way of daily tasks. Hang these anywhere. The soft flowing lines of the pods are the perfect contrast to the sharp silhouette of the air plants themselves. Each pod is made from a gorgeous natural Moroccan sand colored clay and comes with a generous amount of natural hemp cord all ready to hang. 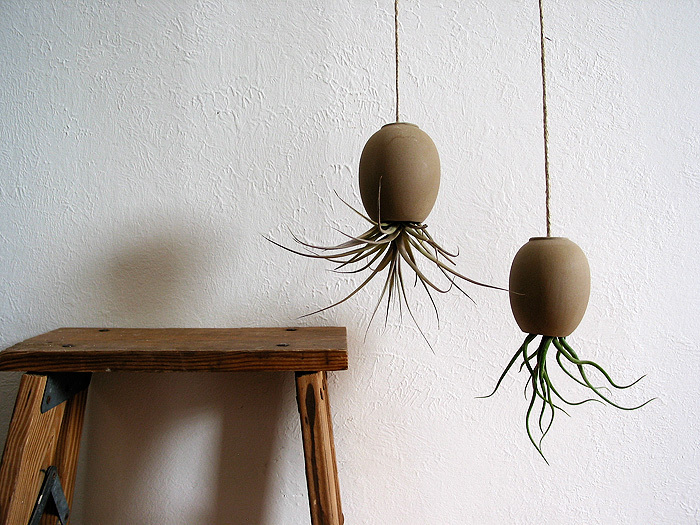 Hanging air plant pods™ are hand crafted and can be found at www.michaelmcdowell.com.